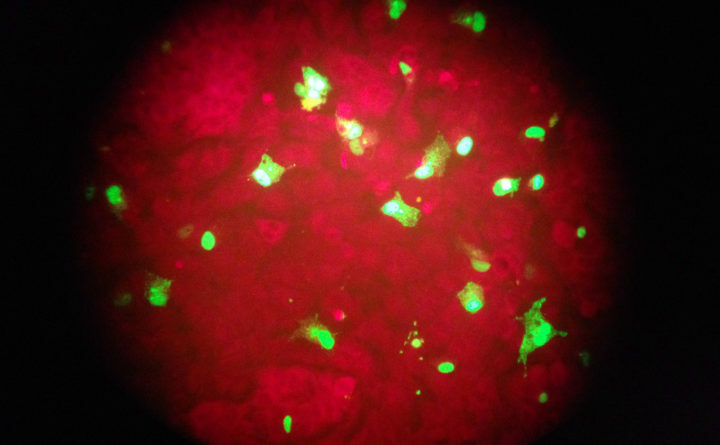 Human cells infected with the flu virus glow green under light from a fluorescence microscope at a laboratory. More Mainers are dying from the flu. The CDC says the virus killed three people so far this season, and more people are being hospitalized. Their weekly report says 510 people have tested positive for the flu for the 2018-2019 season, and 53 people have been hospitalized. Nationwide, federal health officials are reporting sharp increases in flu activity. The dominating virus this flu season is H1N1.